Zumba has taken the nation by storm as a great, fun way for mums to get fit. Now you can get fabuliciously fit in Carshalton with someone who knows all about weight issues. 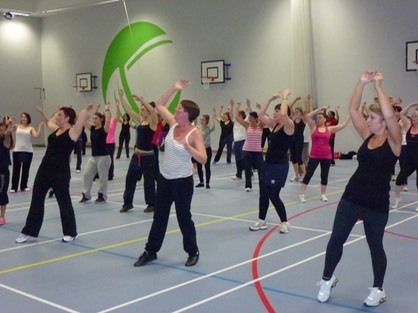 Zumba has become a hugely popular way to get fit and have fun while you're doing it. A mixture of dance and high energy fitness moves, all with an up-tempo soundtrack, zumba is the way to go if you want to enjoy losing weight. Now you can join in the zumba fun in Carshalton with Fabulicious Fitness, one of the more popular zumba classes to start in our area. Run by qualified personal trainer Shelly Palmer, local mums have reported fantastic results from�Fabulicious Fitness' infectious, highly motivating approach to fitness. "Feeling Fabulicious is all about feeling good on the outside as well as the inside," explains Shelly, who is very open about her own problems with her weight in the past. "If you have looked in the mirror and not recognized the women looking back at you, or have bought a bigger size clothes recently, then�Fabulicious Fitness�is for you." Despite her love of dance, as Shelly grew up her weight began to yo-yo. "The last time was when I broke my wrist and I put on two and a half stone," explains Shelly. �"The feeling of carrying the extra weight around and the lack of energy was really depressing. Seeing the marks that my underwear made on my body, clothes not fitting and just generally not feeling like my old self was horrible.� I remember grabbing red-bull, chocolate bars and coffee just to get me through the days!" Shelly realized her weight was making her feel miserable and started to think about how she was going to get back to her old confident self. "After a night out dancing with my University friends I started thinking about the previous evening on the dance floor with my friends and how I felt," explains Shelly. "I loved it, it felt fabulous.� I remembered how dancing and�being with a group of girls�made me feel and the security and confidence that it gave me. So the idea for Fabulicious Fitness was born!" Shelly also provides specially tailored personal training for women and her Fitness Pilates classes will be starting in September. Find out more about Fabulcious Fitness classes and read Local Mums' reviews.